Smash Repairs Sydney can organise to have a windscreen replacement on our premises from either genuine car manufactures product or after market windscreen replacement suppliers. Windscreen repair often involves the "curing of sealants" so you should allow for one day idle where the windscreen sealant cures.Smash Repairs Sydney can organise for windscreen repair service such as chips and small cracks. 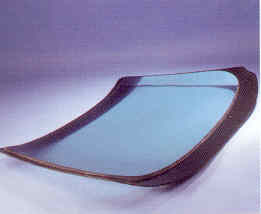 Windscreen replacement suppliers can have product to our factory within hours, however if you require a quarter glass or rear or side glass replaced allow an extra day for delivery as these parts come "genuine" from the manufacturer.